In complex environments where products made from different steel alloys are specified, Positive Material Identification (PMI) can be used at the point of supply to ensure a material is correct. However, unlike other alloys, Tungum is gold in colour, making it much easier to correctly identify and helping to ensure it doesn’t get mixed up with other materials on site or during installation. 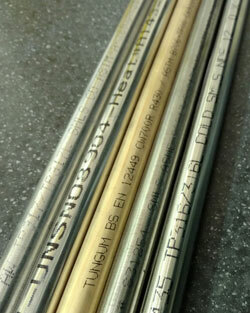 Tungum tubing is highly corrosion resistant and is specified in demanding environments across the world, including oil and gas, dive, marine and shipbuilding. In 80 years’ experience in safety critical applications, there have been no recorded failures of Tungum tubing.